The quality of these essays is uniform and high; they represent the state of the art in this area. The essays range over all the important technical and intellectual debates in digital scholarly editing and provide an excellent introduction to the field as well as a report on where we are. There are some fine discussions of the thorny theoretical topics as well as contributions that discuss particular projects without falling into the tedious show-and-tell format: we always hear why something matters. This volume presents the state of the art in digital scholarly editing. Drawing together the work of established and emerging researchers, it gives pause at a crucial moment in the history of technology in order to offer a sustained reflection on the practices involved in producing, editing and reading digital scholarly editions—and the theories that underpin them. The unrelenting progress of computer technology has changed the nature of textual scholarship at the most fundamental level: the way editors and scholars work, the tools they use to do such work and the research questions they attempt to answer have all been affected. Each of the essays in Digital Scholarly Editing approaches these changes with a different methodological consideration in mind. Together, they make a compelling case for re-evaluating the foundation of the discipline—one that tests its assertions against manuscripts and printed works from across literary history, and the globe. The sheer breadth of Digital Scholarly Editing, along with its successful integration of theory and practice, help redefine a rapidly-changing field, as its firm grounding and future-looking ambit ensure the work will be an indispensable starting point for further scholarship. 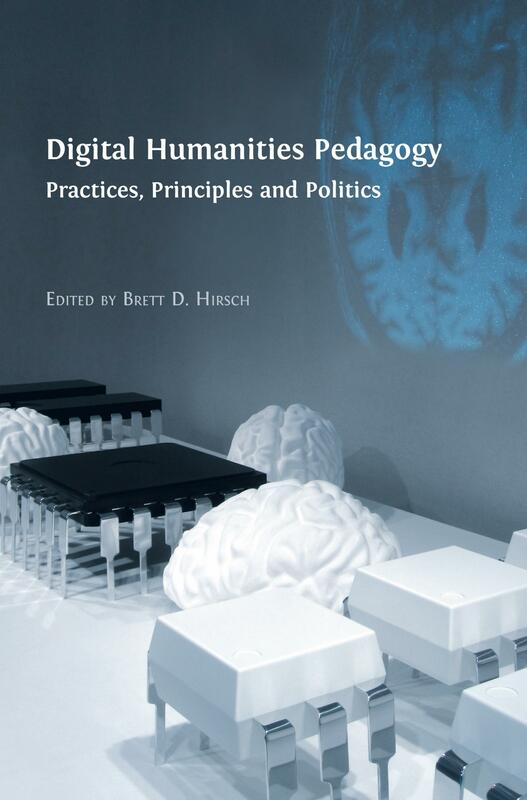 This collection is essential reading for editors, scholars, students and readers who are invested in the future of textual scholarship and the digital humanities. This book has been published with the generous support of the European Science Foundation. 1. Introduction: Old Wine in New Bottles? 2. What is a Scholarly Digital Edition? 5. Barely Beyond the Book? 12. The Battle We Forgot to Fight: Should We Make a Case for Digital Editions? Alyssa Arbuckle is the Assistant Director, Research Partnerships & Development, in the Electronics Textual Cultures Lab (ETCL) at the University of Victoria, B.C., in Canada, where she works with the Implementing New Knowledge Environments (INKE) group and the Digital Humanities Summer Institute (DHSI). Alyssa holds an MA in English from the University of Victoria and a BA Honours in English from the University of British Columbia. Her studies have centred on Digital Humanities, digital editions, new media and contemporary American literature. Her work has appeared in Digital Studies, Digital Humanities Quarterly and Scholarly and Research Communication, and she has given presentations, run workshops or coordinated events in Canada, Australia and the US. Marina Buzzoni is Associate Professor of Germanic Philology and Historical Linguistics at Università Ca’ Foscari in Venice, Italy. Her major scientific interests include Germanic diachronic linguistics, translation studies, textual criticism and digital editing—fields in which she has published numerous papers and scholarly contributions, as well as four monographic volumes. She has taken part in various national and international research projects, the latest of which focus on digital scholarly editing. Constance Crompton is Assistant Professor of Digital Humanities and English, and Director of the Humanities Data Lab at the University of British Columbia’s Okanagan Campus. She is a researcher with Implementing New Knowledge Environments (INKE) and, with Michelle Schwartz, co-directs Lesbian and Gay Liberation in Canada. She serves as the associate director of the Digital Humanities Summer Institute and as a research collaborator with The Yellow Nineties Online. Her work has appeared in several edited collections as well as the Victorian Review, Nineteenth-Century Gender Studies, the UBC Law Review, Digital Humanities Quarterlyand Digital Studies/Champs Numerique. Cynthia Damon is Professor of Classical Studies at the University of Pennsylvania in Philadelphia. She is the author of The Mask of the Parasite: A Pathology of Roman Patronage (1997), a commentary on Tacitus’ Histories 1 (2003), a translation of Tacitus’ Annals in the Penguin series (2013), and, with Will Batstone, of Caesar’s Civil War (2006). She recently published an Oxford Classical Texts edition of Caesar’s Bellum civile with a companion volume on the text (2015), as well as a new Loeb edition of the Civil War (2016). She is currently preparing a pilot edition of the Bellum Alexandrinum for the Library of Digital Latin Texts. Camille Desenclos has since September 2015 been Maître de conférences (Associate Professor) at Université de Haute-Alsace. She gained her PhD in 2014 in early modern history with a thesis on ‘The Words of Power: The Political Communication of France in the Holy Roman Empire (1617–1624)’ at the École Nationale des Chartes under the supervision of Prof. Olivier Poncet. Her research interests focus on the history of diplomacy during the sixteenth and seventeenth centuries, in particular the relationship between France and the Holy Roman Empire, with special emphasis on diplomatic writing practices. She has produced two digital editions of correspondence: letters from the embassy of the Duke of Angoulême (1620–1621) and by Antoine du Bourg (1535–1538). Matthew James Driscoll is Senior Lecturer in Old Norse philology at Nordisk Forskningsinstitut, a research institute within the Faculty of Humanities at the University of Copenhagen. His research interests include manuscript and textual studies, with special focus on popular manuscript culture in late pre-modern Iceland. He is also keenly interested in the description and transcription of primary sources, and has a long-standing involvement in the work of the Text Encoding Initiative, serving on the TEI’s Technical Council from 2001 until 2010. From 2011 to 2015 he was involved in the research networking programme of NeDiMAH (Network for Digital Methods in the Arts and Humanities), funded by the European Science Foundation, and acted as chair of its working group on digital scholarly editions. Greta Franzini is a PhD student at University College London’s Centre for Digital Humanities, where she conducts interdisciplinary research in Latin philology, manuscript studies and digital editing. Her interests lie in the application of digital technologies to the study of Classical texts and in the interdisciplinary research opportunities offered by digital scholarly editions. Greta is also an early career researcher at the University of Göttingen, where she is involved in research pertaining to historical text re­use, natural language processing and text visualisation. Hans Walter Gabler is Professor of English Literature (retired) at the University of Munich, Germany, and Senior Research Fellow of the Institute of English Studies, School of Advanced Study, London University. From 1996 to 2002 in Munich, he directed an interdisciplinary graduate programme on ‘Textual Criticism as Foundation and Method of the Historical Disciplines’. He is editor-in-chief of the critical editions of James Joyce’s Ulysses (1984/1986), A Portrait of the Artist as a Young Man and Dubliners (both 1993). His present research continues to be directed towards the writing processes in draft manuscripts and their representation in the digital medium. Editorial theory, digital editing and Genetic Criticism have become the main focus of his professional writing. Simon Mahony is Associate Director for Teaching at University College London’s Centre for Digital Humanities and Senior Teaching Fellow at the Department of Information Studies, where he is Programme Director for the MA/MSc in Digital Humanities. He has research interests in the application of new technologies to the study of the ancient world; using web-based mechanisms and digital resources to build and sustain learning communities, collaborative and innovative working; the development of education practice and the use of new tools and technologies to facilitate this. He is also an Associate Fellow at UCL’s Institute of Classical Studies. Elena Pierazzo is Professor of Italian Studies and Digital Humanities at Université Grenoble-Alpes; previous to that she was Lecturer at the Department of Digital Humanities at King’s College London, where she was the coordinator of the MA in Digital Humanities. Her areas of special interest include Italian Renaissance texts, the editing of early-modern and modern draft manuscripts, digital editing and text encoding. She has been the Chair of the Text Encoding Initiative and involved in the TEI user-community, with particular focus on the transcription of modern and medieval manuscripts. She was co-chair of the working group on digital scholarly editions of NeDiMAH and one of the scientists-in-chief of the Digital Scholarly Editions Initial Training Network (DiXiT). Daniel Powell is a Marie Skłowdowska-Curie Fellow in DiXiT. He is based in the Department of Digital Humanities at King’s College London and affiliated with the Electronic Textual Cultures Lab and Department of English at the University of Victoria, with research interests in Scholarly Communication and Editing, the Digital Humanities and Early Modern Drama. He is Associate Director of the Renaissance Knowledge Network and serves on the Scholarly Advisory Committee for the Folger Shakespeare Library’s Digital Anthology of Early Modern English Drama. From 2012 to 2015 he served as Assistant Editor for Digital Publication on the journal Early Theatre; since 2015 he has served as Editor for Digital Initiatives at postmedieval: a journal of medieval cultural studies. His work has appeared, among other places, in Digital Studies/Le champ numérique, Renaissance and Reformation/Renaissance et Reforme, Scholarly and Research Communicationand Religion and Literature. Krista Stinne Greve Rasmussen took her PhD at the University of Copenhagen in 2015. She has participated in the Velux-funded research project Dansk editionshistorie (History of Editing in Denmark) and has worked as a scholarly editor at The Works of Grundtvig project at the University of Aarhus (2010–2011). Her main research interests are scholarly editing, new media, the history of the book and literary criticism. She is a member of the governing bodies for the Nordisk netværk for boghistorie (Nordic Network for Book History) and the Nordisk netværk for editionsfilologer (Nordic Network for Textual Scholarship). Roberto Rosselli Del Turco is Assistant Professor at the Università degli studi di Torino, where he teaches Germanic Philology, Old English language and literature and Digital Humanities. He is also Assistant Professor of Digital Humanities at the Università di Pisa. He has published widely in the Digital Humanities and Anglo-Saxon studies. He has recently edited and translated the Old English poem The Battle of Maldon (2009) and is the editor of the Digital Vercelli Book, an ongoing project that aims at providing a full edition of this important manuscript. He is lead developer of Edition Visualization Technology (EVT), a software tool created at the University of Pisa to navigate and visualise digital editions based on the TEI XML encoding standard. He is also co-director of the Visionary Cross project, an international project whose aim is to produce an advanced multimedia edition of key Anglo-Saxon texts and monuments, in particular the Dream of the Rood and the Ruthwell and Bewcastle preaching crosses. Patrick Sahle has studied History, Philosophy and Political Science in Cologne and Rome. He holds a PhD in Information Processing in the Humanities, based on his three-volume dissertation Digitale Editionsformen (Digital Scholarly Editions). Currently he is Professor for Digital Humanities at Universität zu Köln, where he also acts as manager of the Cologne Center for eHumanities (CCeH), as Digital Humanities coordinator for the North Rhine-Westphalian Academy for Science (AWK), and as coordinator of the Data Center for the Humanities (DCH). He is also a founding member of the Institute for Documentology and Scholarly Editing (IDE). Ray Siemens is Distinguished Professor of English and Computer Science in the Faculty of Humanities at the University of Victoria, B.C., and past Canada Research Chair in Humanities Computing (2004–2015). He is founding editor of the electronic scholarly journal Early Modern Literary Studies, and his publications include, among others, Blackwell’s Companion to Digital Humanities (2004, 2015, with Susan Schreibman and John Unsworth), Blackwell’s Companion to Digital Literary Studies (2008, with Susan Schreibman), A Social Edition of the Devonshire MS (2012, 2015, with Constance Crompton, Daniel Powell, Alyssa Arbuckle et al. ), Literary Studies in the Digital Age (2014, with Kenneth Price) and The Lyrics of the Henry VIII MS (2016). He directs the Implementing New Knowledge Environments project, the Digital Humanities Summer Institute and the Electronic Textual Cultures Lab, recently serving also as Vice President/Director of the Canadian Federation of the Humanities and Social Sciences for Research Dissemination, Chair of the Modern Languages Association Committee on Scholarly Editions and Chair of the international Alliance of Digital Humanities Organisations. Melissa Terras is Director of University College London’s Centre for Digital Humanities, Professor of Digital Humanities at UCL’s Department of Information Studies and Vice Dean of Research for the Faculty of Arts and Humanities. Her publications include Image to Interpretation: Intelligent Systems to Aid Historians in the Reading of the Vindolanda Texts (2006) and Digital Images for the Information Professional (2008), and she has co-edited various volumes, such as Digital Humanities in Practice (2012) and Defining Digital Humanities: A Reader (2013). She is currently serving on the Board of Curators of the University of Oxford Libraries and the Board of the National Library of Scotland, and is a Fellow of the Chartered Institute of Library and Information Professionals and Fellow of the British Computer Society. Her research focuses on the use of computational techniques to enable research in the arts and humanities that would otherwise be impossible. Dirk Van Hulle is Professor of English Literature at the University of Antwerp and director of the Centre for Manuscript Genetics and recently edited the new Cambridge Companion to Samuel Beckett (2015). With Mark Nixon, he is co-director of the Beckett Digital Manuscript Project and editor-in-chief of the Journal of Beckett Studies. His publications include Textual Awareness (2004), Modern Manuscripts (2014), Samuel Beckett’s Library (2013, with Mark Nixon), James Joyce’s Work in Progress (2016) and several genetic editions in the Beckett Digital Manuscript Project, including Krapp’s Last Tape/La Dernière Bande, L’Innommable/The Unnamable (with Shane Weller) and the Beckett Digital Library. Joris J. van Zundert is a Researcher and Developer in Humanities Computing and Digital Humanities in the Department of Literary Studies at the Huygens Institute for the History of The Netherlands, a research institute of the Netherlands Royal Academy of Arts and Sciences (KNAW). As a researcher and developer his main interest lies with the possibilities of computational algorithms for the analysis of literary and historic texts and the nature and properties of humanities information and data modelling. His current research focuses on computer science and humanities interaction and the tensions between hermeneutics and ‘big data’ approaches. © 2016 Matthew James Driscoll and Elena Pierazzo. Copyright of each individual chapter is maintained by the author(s). What is digital editing? a new medium, a new methodology or a new discipline? The introduction will start by giving an historical overview of the development of digital editing, trying to outline some of its main features and characteristics. In particular we will discuss if there are common methodological grounds and future lines of developments. We will then present the content of the volume briefly, discussing the occasions that generated it and its internal structure. For 15 years now, the author has worked with a rather simple definition of what a "scholarly digital edition” (SDE) is. Ever since this definition has been applied in a number of theoretical (scholarly articles, books) and practical (e.g. a catalogues of SDEs, consultancy for SDEs) endeavors without encountering too many problems or contradictions. Thus, what has been a working definition in the first place seems now to be time-tested and mature for discussion within a broader context. In the attempt to give a general definition of the "scholarly edition" as the starting point for defining the new "digital scholarly edition" three aspects should be taken into account: (1.) the methodological traditions of print-culture, (2.) the broad range of scholarly disciplines creating editions, and (3.) the different textual genres and kinds of material (even non-textual) to be edited. This lead to the following very broad definition in the mother-tongue of the author: "Edition ist die erschließende Wiedergabe historischer Dokumente”. In German this definition works quite well, but unfortunately it relies on the untranslatable word and notion of "Erschließung”, which encompasses any activity that increases the amount of information concerning a specific object and thus makes it more accessible. A fair English translation might be: "A scholarly edition is the critical representation of historical documents” - taking the word "critical” as a container for all scholarly activities in editing. Deliberately, this definition contains three argument places: "critical”, "representation” and "historic document” indicating necessary conditions for scholarly editions. A scholarly "digital” edition is then defined by some further aspects, that are important for the distinction between SDEs and both digital resources that are non-SDEs and scholarly editions that are not digital: As regards the methodology SDEs are oriented towards a "digital paradigm”. That means for example a SDE (1.) cannot be given in print without a significant loss of information or functionality, (2.) that "digital” and "digitized” editions are essentially different, and (3.) that digital editions show specific aspects that cannot be found in traditional ones. Finally, some theoretical characteristics have to be discussed including concepts of open, modular and incremental editions, which asks for a demarcation from "digital libraries” or "digital archives”. This leads to the fundamental question of the "real revolution” in the transformation we are facing and that lies in - what may be called - "transmedialisation”: the shift from the edition as a media product to the edition as a modeled information resource that can be presented in media but is rather the abstract representation of knowledge. Editing did not come into being with the advent of computers: indeed it is a few thousand years old. Its main purpose has not changed much since it was ‘invented’ by the scholars at the library of Alexandra, namely to provide readers with a correct and stable version of a text. What "correct” means in this context has changed over time as different and competing theoretical frameworks have defined it differently. It remains to be ascertained if the use of digital methodologies is able to embody a different theoretical framework; however, it is sure that that computers have challenged the perceived stability of the text. Traditionally, editorial outcomes have primarily been embodied in editions that separate the text from the traces left by the acts of creation (the genesis) and of transmission (the tradition). These editions, in particular the so-called reading editions, but to some extent also the critical editions with critical apparatus at the bottom of the page or even at the end of the book, have given the reader the false impression that a stability, a ‘trueness’ of the texts is an achievable goal, and that texts exist in a sort of pure, neo-platonic state, which should not be stained by editorial marks or doubts. Digital editions are ever-changing products, the lifespan of which is expected to be much shorter than printed ones. They are also complex objects, able to display texts in many ways, exposing and making a feature of the ‘debris’ of textual transmission, therefore defeating the idea that text is something that exists regardless of intermediating activities of editors. Sperberg McQueen speaks about the "Heraclitean flux” of digital editions, and foresees how a "successful engagement with the mutability of electronic editions and the flux of the environment […] may require a different way of thinking about editions and the choices they embody” (Sperberg-McQueen: 2009). The proposed article will argue for a different theoretical understanding of editorial outcomes and of texts, based on the conviction that an edition, and therefore any cultural heritage text, is a "working hypothesis” (Contini: 1990). This paper discusses whether it is desirable to look for a "protocol” that would provide, if not a standard, at least some guidance on how to structure the core elements that one should expect to find in a scholarly electronic edition. (5) and, last but not least, user interaction. More specifically, these domains represent what one may call the "added value” of scholarly digital editions, not in terms of mere application but rather in terms of theoretical improvement. For example, the availability of space offered by the digital edition is a prerequisite which allows users to verify the choices made by the editor. And verifiability is a necessary component of scientific reliability (since De Robertis 1954). In principle, a scholarly digital edition should meet these five requirements independently of the subtype it belongs to. Furthermore, these same requirements should be fulfilled in every single module that makes up an edition. Occorre […] capovolgere i rapporti gerarchici fra testo e apparato, dare la maggiore enfasi all’apparato e considerare il testo come una superficie neutra [...] su cui il filologo ha innestato le lezioni da lui considerate sicure, fra le tante considerate. Ma l’edizione si merita l’attributo di critica molto di più attraverso l’apparato, se discorsivamente problematico: perché esso sintetizza il diasistema della tradizione, e perché svolge un vaglio completo, anche se non sempre conclusivo, delle lezioni. (Segre 1974: 497). It is therefore in the apparatus that the diasystem of the tradition is better highlighted, and its "historicity” fully appreciated (Ferrari/Bampi 2009). The last part of the paper focuses on this module. Although scholarly print editions will be around for a very long time, scholarly editions are also shifting into a digital existence. It has been pointed out many times that digital and computational approaches should enhance the scholarly editor's abilities for textual analysis (e.g. Moretti 2007). That they should allow the scholarly researcher to explore new forms of engagement with texts (e.g. McGann 2001, Buzzetti 2009). 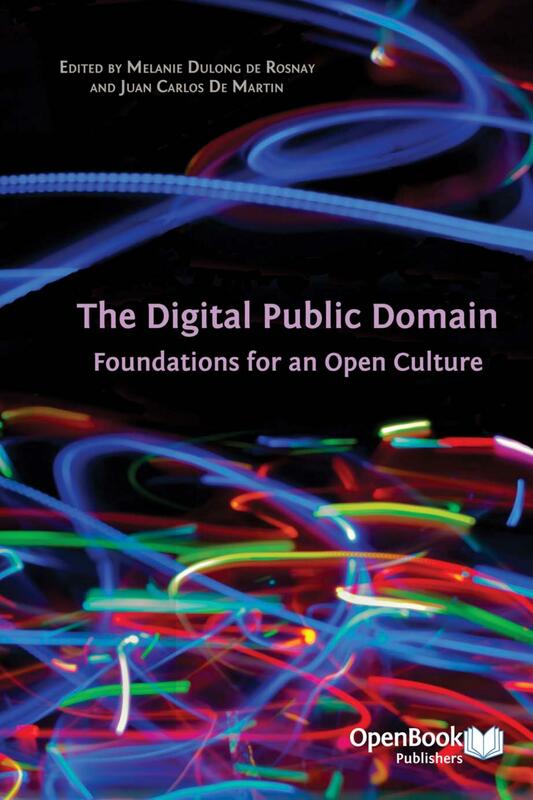 In recent years particularly also the potential of collaborative and community aspects of digital editions have drawn considerable interest in the scholarly domain (e.g. Siemens et al. 2012). Glancing at the landscape of existing digital scholarly editions however, one can wonder if these digital editions have been informed much at all by such theories about digital text and text engagement. Mostly the result of the digital scholarly editing process seems to be a digital metaphor of the codex. Following inter alia Robinson (Robinson 2004), Sahle (Sahle 2013) and Svensson (Svensson 2012) this article argues that there is little rational for producing non-industry standards anchored digital scholarly editions of questionable sustainability if they do not at least sincerely explore the scholarly advantages of the digital realm, or in other words: if they do not present text in ways and with functionalities that would be unachievable in the print paradigm. However, setting beyond print capabilities as a paramount condition for digital scholarly editions ushers in the question what these capabilities should be and how they can be evaluated. With various motivations a number of textual scholars and practitioners of digital editions have made attempts at constructing typologies and feature lists of published digital scholarly editions (cf. Brumfield 2012, Franzini 2012). These typologies seem to be informed either by technical considerations and user specifications from the digital realm, or by theoretical considerations from the print edition paradigm. It can be argued however, that it would be only sensible to derive conditions for scholarly digital editions also from the body of theoretical work on digital editing that has been amassed over the last decades. Arguably, part of raising the bar is also to be found in re-conceiving the peer review process surrounding digital scholarly editions. This process should be far more informed by theoretical aspects of digital and computational research approaches. Yet it should also be amended for the fact that the creation of a digital scholarly edition is nowadays a multi-person, multi-skills project with a technical implementation aspect that at various levels is engaged with modeling the edition and its contents. Such technical modeling represents an intellectual argument about the edition at issue too, and should be evaluated as such. According to a current paradigm in cognitive sciences the mind is not something inside our heads, it is ‘extended’. This post-Cartesian approach is being applied to cognitive narratology and has its counterpart in philosophy, notably in what is referred to as ‘enactivism’ and ‘radical enactivism’, which suggests that the mind is not just ‘extended’ but also ‘extensive’ (Hutto and Myin 2013: 135). Hutto and Myin abbreviate their hypothesis as ‘REC’ for ‘Radical Enactive (or Embodied) Cognition’ (xii) and suggest that ‘If REC is right, basic cognition is not contentful; basic minds are fundamentally, constitutively already world-involving. They are, as we say, extensive’ (137). This view is presented in opposition to ‘The Default Internal Mind assumption’, which ‘takes it for granted that, in their basic state, minds are unextended and brain-bound. If that is the case, then they become extended only when external resources are needed to complete certain cognitive tasks. On that model, what is fundamentally internal occasionally becomes extended’ (137-8). REC inverts this assumption: ‘Basic minds are fundamentally extensive, whereas special kinds of scaffolded practices must be mastered before anything resembling internalized […] mentality appears on the scene’ (138). In narratology, this ‘internalist’ model of the mind has been referred to as the ‘critical commonplace’ (Herman 2011) with regard to evocations of the mind in literary modernism. As opposed to this ‘inward turn’, the extensive mind consists of the interplay between intelligent agents and their cultural as well as material circumstances. These material circumstances can be anything. In the case of a writer, for instance, this environment can simply be a piece of paper, a notebook or the margin of a book. 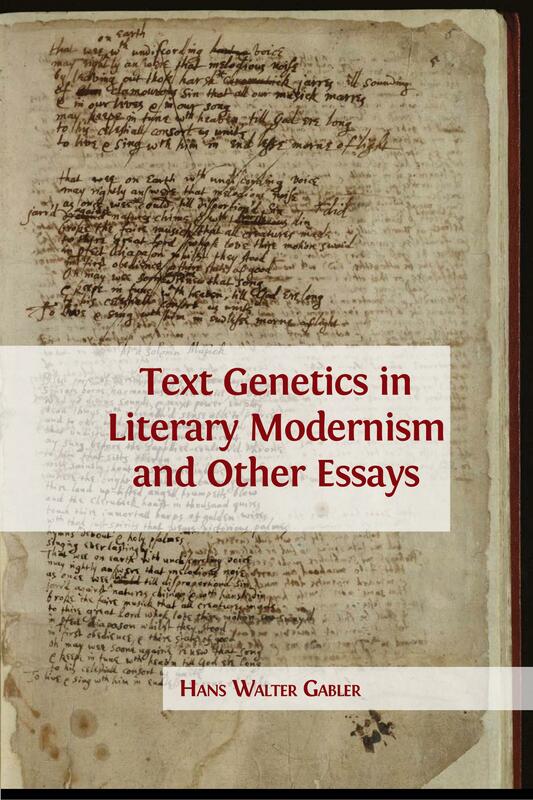 This essay examines modernist authors’ personal libraries, their reading notes and drafts as aspects of the ‘extended mind’, and investigates to what extent genetic digital editing can be deployed to study this form of enactive cognition. In "Narrative and Mind: Directions for Inquiry” (2013), David Herman notes that interdisciplinary research in this area has so far been mainly unidirectional (literary studies ‘borrowing from’ cognitive sciences). The proposed essay suggests that genetic digital editing may serve as a useful way of making this interdisciplinary research bidirectional, notably by indicating the markedly intertextual nature of many modernist texts and emphasizing the interplay between ‘exogenesis’ and ‘endogenesis’ as a generative nexus in creative cognitive processes. The inclusion of the exogenesis (e.g. an author’s personal library) in a genetic edition will be studied as a method (1) to visualize this nexus between exo- and endogenesis and (2) to analyse the enactive mind at work. In this way, genetic digital editing might be a way of contributing to the bidirectional exchange of ideas between literary studies and cognitive sciences. The case study to examine this research hypothesis is the Beckett Digital Manuscript Project (www.beckettarchive.org). A Social Edition of the Devonshire Manuscript (published online at http://en.wikibooks.org/wiki/The_Devonshire_Manuscript, ~1400 pages, and forthcoming in print by Iter / Medieval and Renaissance Texts and Studies) is an unconventional text: it blends traditional scholarly editing practices and standards with comparatively recent digital social media environments. In doing so, the edition aims to reflect both contemporary editorial theory that recognizes the inherently social form and formation of texts as well as the compositional and reception practices that shaped the original production of the Devonshire Manuscript. Dating from the 1530s-1540s, the Devonshire Manuscript (BL MS Add. 17492) is a multi-authored verse miscellany compiled by a number of sixteenth-century authors, poets, secretaries, amanuenses, and literati. As an inherently collaborative document, the manuscript seems to call for a type of social reproduction within scholarly contexts. This paper details the content, context, process, and implications of A Social Edition of the Devonshire Manuscript. Published (in part) in Wikibooks in order to emphasize the collaborative, social ethos of the Devonshire Manuscript, this project attempted to model the social scholarly edition. What makes a good digital edition? What features do digital editions share? What is the state of the art in the field of digital editions? Why are there so few electronic editions of ancient texts? To address these questions, I have collated relevant evidence in a detailed catalogue of digital editions. Amongst other things, the catalogue makes a distinction between scholarly and non-scholarly projects, provides a list of tools used, as well as information about standards-compliant editions and openness. · a means of identifying which areas need to be improved. The editions I include in the catalogue come from numerous sources and their selection follows basic criteria: the electronic texts can be ongoing or complete projects, born- digital editions or electronic reproductions of print volumes. These were gathered from existing catalogues, lists, such as Projects using the TEI, RSS feeds, publications (articles, reviews and books), Google Scholar alerts, tweets, word of mouth, web browsing and chaining. Data is carefully collected and assessed both quantitatively and qualitatively. Content analysis is being carried out along two parallel tracks: a passive approach, whereby I contact each team with a short questionnaire aimed at gaining a deeper understanding of both the production and user ends of the project; and a more active, observational examination of the electronic editions through website and related publications analysis. Interesting facts are already beginning to emerge: several projects, for instance, have not set up analytics as a means of studying usage; projects urging the digital reunification of manuscript fragments are often internally fragmented themselves, having split the project between institutions rather than centralising the material for easy retrieval and management; and TEI guidelines are not as widely adopted as we might think. Once all the data has been analysed, it will be possible to establish the state of the art in the field of electronic editing, draw up a best practice profile and make reliable inferences from which further research can stem and develop. To date, the catalogue showcases some two-hundred digital editions, collected and examined over a period of ten months. Of course, there are many more editions left to include and, indeed, many more to come. While initially collated for personal research purposes, I have now developed the catalogue into a larger resource, available at: https://sites.google.com/site/digitaleds. The website enables people to report bugs and errors, comment and make suggestions for improvement. Although initially curated by myself, the catalogue is currently being updated and improved by myself and twenty-seven collaborators across the globe. The ultimate aim of the catalogue is not only to be used as a project reference tool but also to bring together scholars in the field, thus systematically and collaboratively creating a unique bank of data which would figure alongside other prominent Digital Humanities resources such as centerNet, the Digital Classicist Wiki and the various associations (ADHO, ACH, ALLC, etc.). The material analyzed in the proposed article consists primarily of scholarly electronic representations of medieval Scandinavian sources that have been published either in text archives or as individual editions during the past two decades. Several theoretical issues have risen in connection with Nordic (and other) electronic editing, such as the definition of text and manuscript, scholarly aims of electronic textual editing and the role of the editor therein. Moreover, types of editions and production methodology according to a synchronic or diachronic view, the nature of the material and the intended audience have been under discussion in the scholarly community. Apart from these theoretical and methodological issues, the proposed historical overview deals with such practical aspects of electronic editing as text encoding, visual presentation and analysis tools, citability, sustainability and financing. An outline of future perspectives involves not only a list of forthcoming series and publications, but also a discussion of the further exploitation of the digital medium. In addition, a bibliography of databases, archives and digital editions in the field is appended to the study. During the past two decades, digital methods in Medieval Nordic Studies have been utilized in several areas. Most effort has been invested into building searchable lexicographic and codicological databases, and large-scale digitization of manuscripts. Online databases have become largely popular and are now replacing "hardback” reference works such as dictionaries, bibliographies and manuscript catalogues as well as the once rare and costly facsimile editions. Text transcriptions faithfully reproducing the original are available in text archives; mark-up for linguistic and philological analysis is common in private and public use. A handful of individual semi-digital scholarly editions have also appeared. Cooperative steps have been taken towards unified text representation and analysis, comprising of the development of text encoding standards and globally available medieval fonts. The editions that have been produced so far are based on a single manuscript or multiple manuscripts of a single work. There have, nevertheless, not been made attempts to link texts across manuscripts in a dynamic way, although hypothetical models for such representation exist. A large number of of scholarly projects use TEI standard encoding for text markup nowadays, and when it comes to publishing it is necessary to be able to design multiple shapes using a single TEI research file: a paper book, a digital edition and an ePub, for example. In this article we present a workflow to different outputs of a single XML TEI file. The workflow elaborated at the University of Caen Press covers all operations, starting from basic markup operations to production of enhanced digital publications or printed books. Based on the fluidity of the text and using fragments of texts these methods can handle both basic (publishing markup) and complex (scholarly markup) XML files. Therefore, our workflow may be used for simple publishing productions such as journals containing texts, one footnote system, quotations, figures, tables, etc. to a complete critical editions containing several witnesses, links to digitized images of manuscripts, several footnotes systems, segments, etc. We present methods to use the same markup to create online, ePubs and paperback editions. The basic structure is created with a word processor using stylesheets for paragraphs and characters. OpenOffice is then used to export a XML TEI file using generic XSLT transformations dealing with standards elements (divisions, paragraphs, figures, tables, footnotes, etc.). Scholars are then able to enhance the resulting files using an XML editor with user friendly interfaces. At the end of the process, the final XML TEI file is uploaded to a XML database so that it may be processed to create an online version, an ebook, or an InDesign formatted file to produce a printed version. About 15 French university presses have been trained to use this workflow. Within the mass of digital editions, editions of correspondences seem to be the poor relation; barely a dozen of projects, very heterogeneous, can be found. Witness of the specificity of such a text structure, a TEI-SIG has been created especially for correspondences but focuses, as most of the projects, onto 19th century correspondences. Trying to fill this gap, the École nationale des chartes has developed a platform of critical editions dedicated to early modern correspondences as a concrete basis to rethink of digital editions for correspondences. 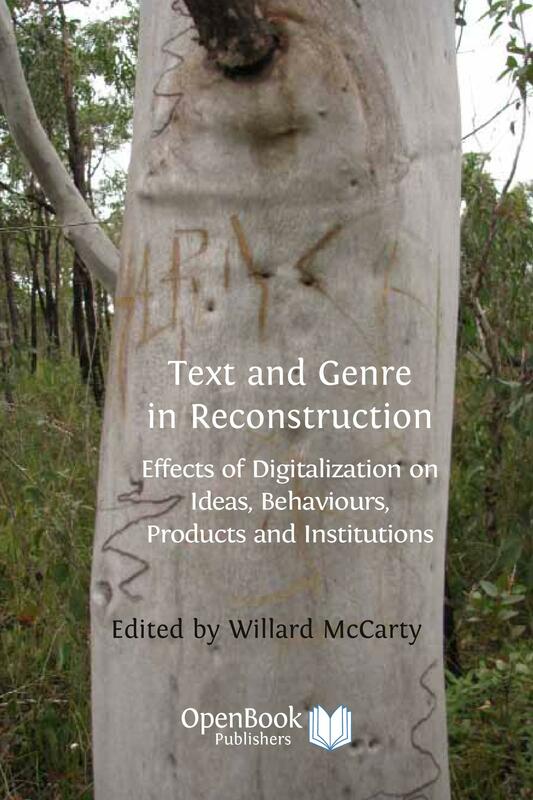 Instead of inserting correspondences into a wide pattern, defining a specific digital edition for correspondences seems to be more efficient and so better adapted to its stakes and editing methods and transposing the SIG-reflexions to early modern texts. A basic online edition – a transposition line by line of the original text – cannot be efficient. As correspondences are often huge and heterogeneous corpora, the edition has to provide entry points and thus facilitate the reading and study of those corpora. Systematical identification of mentioned names grants a real added value and turns the mass of informations contained within letters into a useful material for historians. But above all, encoding methods have to be reviewed. Unlike to classical sources as charters, basic structure into paragraphs cannot be efficient. Addresses, signatures or postscripts need to be highlight, so that the letter can be distinguished from other kinds of texts. They are the first entry points to information and allow to form, in different ways, the corpora (by sender or addressee, by date, …). Digital editions have to be rethought in terms of information instead of text flow. Only the encoding of each specific element can reestablish the text's coherence and legibility. The schema is also as to encode than to constrain to think about the text itself and make it understandable. Correspondences are par excellence an endless corpus, new letters can be found at any moment. Thus, we need to be certain that a same structuring can been held for the whole corpus, so that edition can be increased. A generic solution can ben found only by confronting practices and thinking about editorial practices in general and specific needs of correspondences. It should be modified and completed at each new publication to meet as well as possible the correspondences requirements. This practices convergence could open new scientific possibilities, especially with corpora cross-searching, and discussions about the conception of correspondences editions. Literary works from the ancient world reach us via a long process of transmission from copy to copy. As printed today their texts are at best near approximations of what the ancient author wrote. A critical edition, which presents a text along with the surviving evidence of the transmission process and the editor's interpretation of it, allows the reader to see where the text is securely supported by the manuscripts that preserve it, where the support is weak, and where the text is corrupt or disputed. No classical work can be read responsibly without one. Yet existing digital editions routinely strip out everything but the text, collapsing the essential distinction between text and work. They do so by the simple expedient of omitting paratextual material supplied by the editor, most crucially the apparatus criticus. If we are going to reinstate the apparatus criticus, as we must if digital editions of classical texts are to serve the needs of scholarship, we need a fuller appreciation of what the apparatus is. The TEI guidelines for the relevant module (ch. 12), for example, trivialize the apparatus by treating it as a repository of variants, and by making assertions such as (12.1.2) "Individual readings are the crucial elements in any critical apparatus of variants." But for classical texts, at least, a proper apparatus criticus is far more than a repository of textual variants: it is an embodiment of an editor's theory of what counts for understanding why the text being read is what it is. More precisely, the apparatus is a set of notes designed to show the historical and editorial processes that resulted in a particular text and to enable the reader to evaluate the editor's decisions. The raw data for these notes is of course the variant readings in the manuscript tradition. But these variants only yield a text through the operation of an editor's theory about how they are related to one another. In other words, when the editor reports in the apparatus that manuscripts AB have the reading in the text, while CDE and FG have variants, what s/he communicates is likely to be something like this: "Given my theory about how manuscripts ABCDEFG are related to one another, the reading of AB has manuscript authority and is therefore printed, whereas the readings of CDE and FG are scribal innovations in the manuscript from which each group is separately descended and are therefore discarded." We need to find a way to embody the theory as well as the variants in the digital apparatus criticus. Not to constrain interpretation--with the variants in hand the digital reader can not only evaluate an editor's text but also create a new text based on a new theory--but rather to insist that the text is more than its variants. This paper asks what is required for critical editions of classical texts in the digital medium. 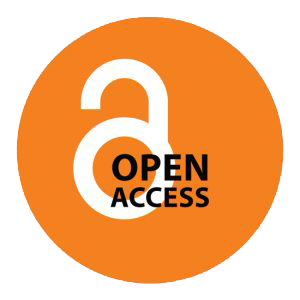 The purpose of this article is to discuss how end users handle and engage with scholarly editions. I’ll be focusing on the media transition from printed to digital editions in order to address the question of whether we read or use digital editions. In the age of digital texts it often seems to be the case that the end user is randomly called a user or a reader without much thought of the difference between the two. However, it is not only possible to make a terminological distinction between the two – there is also an important phenomenological and theoretical difference between being a reader and being a user. In this article I will suggest a terminological tripartition of the reader into three different roles: reader, user, and co-worker. The reader is mainly interested in the scholarly edition as a way of accessing a reliable edition of a work of literature. For the reader it is important to have uncomplicated and easy access to the text (or texts) of a work. The handling of the media of access is a precondition for the act of reading, a precondition which in the case of books often is uncomplicated, but which can serve problems in the digital. The user’s interest lies in the scholarly edition as a scholarly tool rather than a scholarly edition of a work of literature, and the user will therefore take advantage of the additional resources offered in the edition that will provide insight into the many texts of the work (versions) whether it is textual notes, critical apparatuses or commentary of various kinds. Finally, the co-worker wants to participate in the scholarly work at some level of the editorial work either by supplying commentary, proofreading – or in other ways actively engaging in the total knowledge production on the website. This is an ideal of the knowledge site. I regard the three reader roles, reader, user, co-worker, as a progressive order in which you need to be a reader in order to be a user and you need to be both a reader and a user in order to be a co-worker on the knowledge site. I have deliberately chosen to call these kinds of engagements with the edition roles, because my main interest is the preconditions which enable the fulfillment of the roles. These reader roles are neither definitive nor exclusive. Instead, they are to be regarded as modalities, where the reader can engage more or less simultaneously in all three roles. However, they are progressive and the role of the co-worker involves the greatest level of involvement. Discussing reader roles in terms of scholarly editions will provide a better understanding of the impact of the media transition on the reader as the media of publication shifts from printed to digital editions. Digital scholarly editions exists in a broad spectrum of digital scholarly resources and parties producing them, ranging from works receiving intense scholarly treatment and annotation, to highly accurate representations of individual volumes, to simple scans with limited—sometimes deficient—metadata. This range of activity in the creation of digital scholarly content is also produced by a range of parties, from individual scholars, to personnel in digital humanities centers, to museums and libraries…and others. Nowadays, it is taken quite for granted that librarians and scholars occupy completely separate spheres in a modern university… Scholars create scholarship. Librarians assist them. What is most remarkable about this, though, is how recent a development it really is… but in the end, the library is considered a "service unit.” And that’s a problem. As academic libraries consider their changing roles, a re-thinking of the relationship of libraries to scholarship should be a significant subject within that broader discussion. This paper first will review some of the major forces affecting research libraries, while simultaneously observing some of the digitally-driven changes in scholarly roles which are contributing to those changes. It will then explore some of the changes libraries are making in this environment, especially in engagement with scholarship enabled by the digital medium, referencing examples from the St. Louis Freedom Suits / Legal Encoding Project at the Washington University in St. Louis Libraries as an example. Several years after the publication of P. Robinson’s provocative essay on the status of digital editions (Robinson 2005), many new editions have been produced, but very little seems to have changed with regard to their acceptance and diffusion among "traditional” scholars: especially in non- Anglo-Saxon countries, many colleagues are sticking to usual practices and producing printed editions; others are starting to look into the Digital Humanities field, but are sometimes scared away by what is perceived as "technical complexity”, the amount of learning required to use digital tools and methods. There surely is a growth in interest for tools allowing to create an edition (text encoding, web publication), or to help the philologist in doing part of the hard work (semi-automatic collation), but are these really related to what a digital edition should and could be? Especially when they are often used to produce printed ones. Furthermore, the fact that there’s no definite consensus about what a "digital edition” is or should be is definitely not helping, methodological uncertainty adds to technical complexity and fragmentation to form a formidable access barrier. Should we (en)code less and agree on a precise definition, then, and make the point in favor of the digital edition with renewed energy and in no ambiguous terms? In this article I will try to survey the status quo of the digital philology discipline and expose the major roadblocks towards greater acceptance of digital editions. The author will provide a response to all the articles included in the collection, binding together the different perspectives and offering a vision about the future of digital editing. Available at: http://www.tei-c.org/Activities/Projects/index.xml (Accessed: 2 March 2013). The Ancient World Online (available at: http://ancientworldonline.blogspot.co.uk/); arts-humanities.net (available at: http://www.arts-humanities.net/); Digital Classicist seminars (available at: http://www.digitalclassicist.org/wip/ index.html).